Ok, I have a lot to cover so stay with me and forgive me in advance if this seems entirely too disconnected. First of all, if you need to get your ‘things’ for the big sale early, my sale is starting today. You can check out my sales by clicking HERE. Of course, it’s a better deal to wait until Monday, but I know alot of you wanted to get a jump start on those specific things you need for next week. So go ahead! 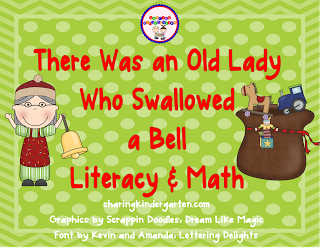 Secondly, please head on over to PreK and K Sharing and check out my guest post for today. I’m trying a new approach. I’m on a quest to establish some good habits of ‘kindness’ in my kinders and would love to hear what you think. There’s a couple of freebies over there to get you started if you want to join me on my quest. 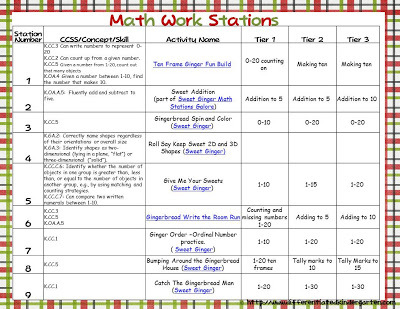 Next, there is the matter of Math Stations. I know, I know . . . the holiday weekend isn’t even over, but I have to get started on this and plan or I’m gonna be way behind. I have a pile of printed and laminated materials about 2 inches thick that need to be cut apart. Luckily there aren’t a ton a little pieces to cut up, but there’s enough. In any case, I was asked to get my plan for stations posted so I’m gonna go ahead and do it. I’ll have pictures of the kiddos doing them later but for those of you wanting the plan, here it is. Just click on the picture and it will take you to a google document with all the hyperlinks if you’re interested. Hold on to your hats. This is gonna be a quick rundown and it’s probably not gonna be pretty but I promise better pictures when my kinders start using them. I’d make the boys come out and play school but they are all tucked in their beds. So crummy pictures will have to do. Sorry. This self-correcting activity includes two tiers for addition to 5 and 10. 3. 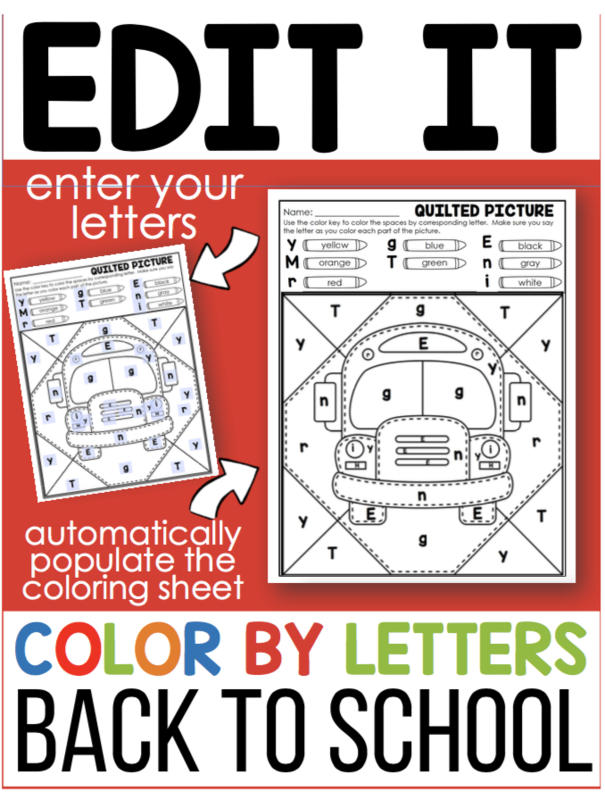 Gingerbread Spin and Color–This activity is a ten frames number recognition activity with a tier for numbers 0-10 and 10-20. 4. Roll Say Keep 2D and 3D Shapes–This game is a spin off of the traditional roll-say-keep, but with a few twists and turns. 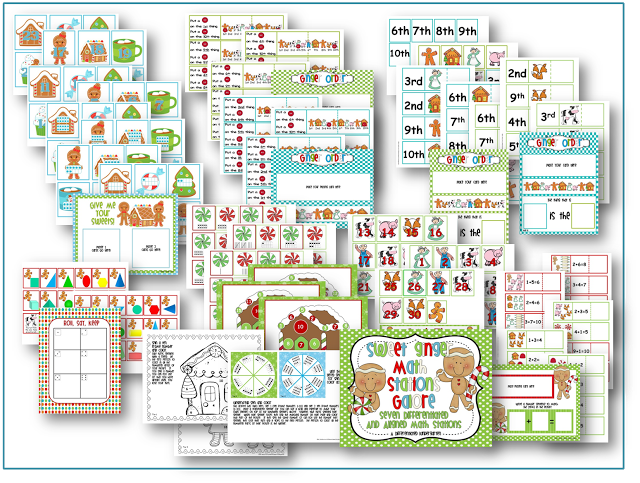 Print and laminate the roll-say-keep mat along with all the gingerbread shape cards and ‘special’ cards that go along with it. 7. 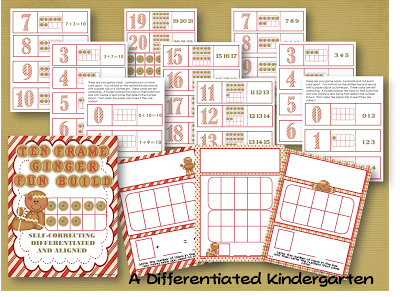 Ginger Order-Self-Correcting Ordinal Number Practice–There are two different self-correcting ordinal number activities for numbers 1-10. 8. 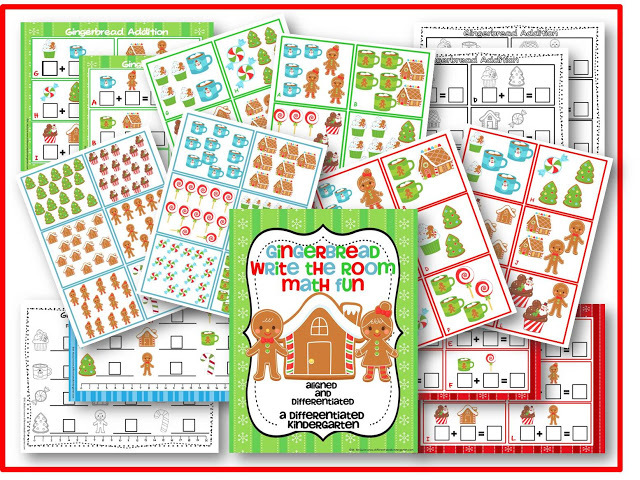 Bumping Around the Gingerbread House–There are three different tiered playing mats for this game. Numbers 1-10 (Tier 1), Numbers 1-15 (Tier 2) and Numbers 1-20 (Tier 3). 9. 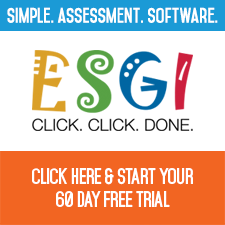 Catch the Gingerbread Man–Number recognition. Can be tiered for numbers up to 30. So that’s the quick and dirty on planning for my next round of math stations. Now on to Bundles! I’m seriously working my tail off this weekend. 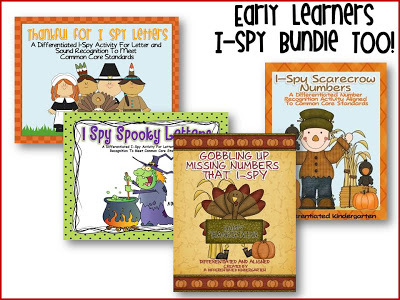 Some of you have asked me to bundle some items and I accomplished bundling another Early Learning I-Spy Bundle Too. So many of you liked the first set, I thought I would go bundle a second set. It’s my hope that I’ll get a free minute to put a Sight Word Bundle for I-Spy as well. I’ll try! And now onto shopping. . . Yes! I am STILL adding things to my cart. I’ve found such great stuff, I just HAVE to get it. 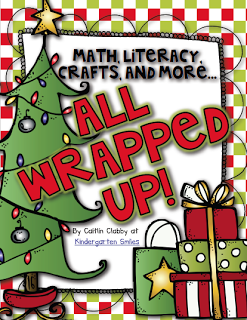 This is Krissy Miner’s Popcorn Word Bundle. You know how I love her and her products. I have pokey pin letters, shapes and numbers. I’m all in for anything with a pokey pin element. So excited to try this. 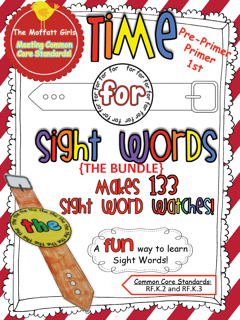 I want these Sight Word watches too from Annie Moffatt (I think she’s a long lost cousin). I think my kinders would love them. I’d love to hear what’s in your cart. If you find something you can’t live without please drop me a line. 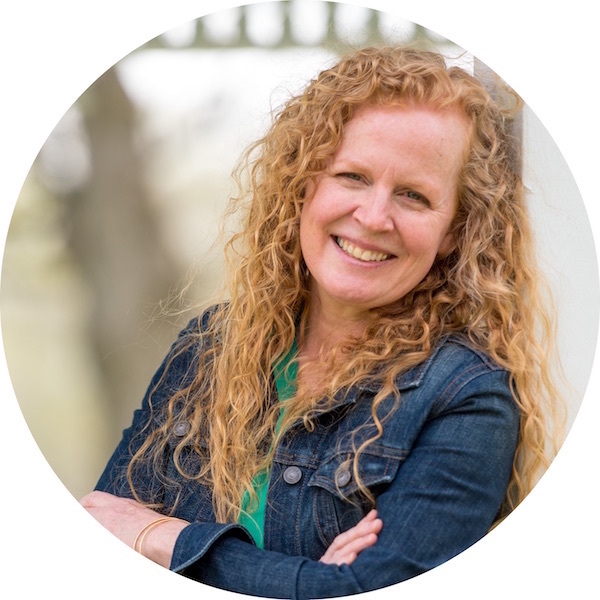 Love your blog, and am always anticipating your next post!! I have looked, and may have overlooked it, but I don’t see a Christmas holiday number I-Spy. 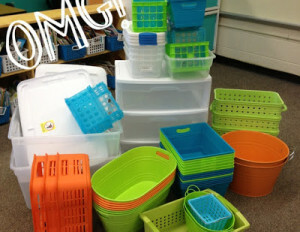 My students love them, and I was wanting to put one in my December math stations. Did you have time to put one together? Thank you, thank you, thank you. Oh, and one more thank you from my students!!!! Our classroom magnifying glasses have NEVER been used this much! You’re fabulous!! You know that a lot of your items are on my wishlist for Cyber Monday  You’re one of my favorites! And now I’m connecting with you again through TBTS! What an awesome post. 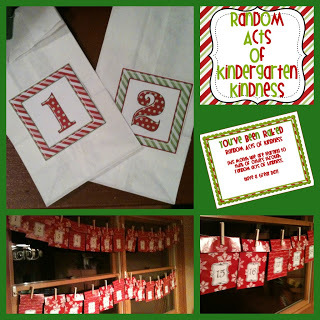 I just hopped over to your post about incorporating random acts of kindness with my kids this year. . .LOVE, LOVE, LOVE that idea. Thanks so much for the freebie, I just pinned ya. Thanks again for the inspiration. Marsha a question: And a Tip!! I am having the hardest time figuring out how to store my growing collection of your work!! 1. How do you store your activities? In a file box or file cabinet? Do they stay in the envelops or just when you are using them? 2. You may have done this and I just have not found it…but taking my inspiration from you I made an I Spy of 1-10 using 10 frames!! so proud of my self.. Something you may want to create ;)… I would buy! !